Evening twilight sunset of the Formula 1 Grand Prix fever at the Port Hercule of the Principality of Monaco. 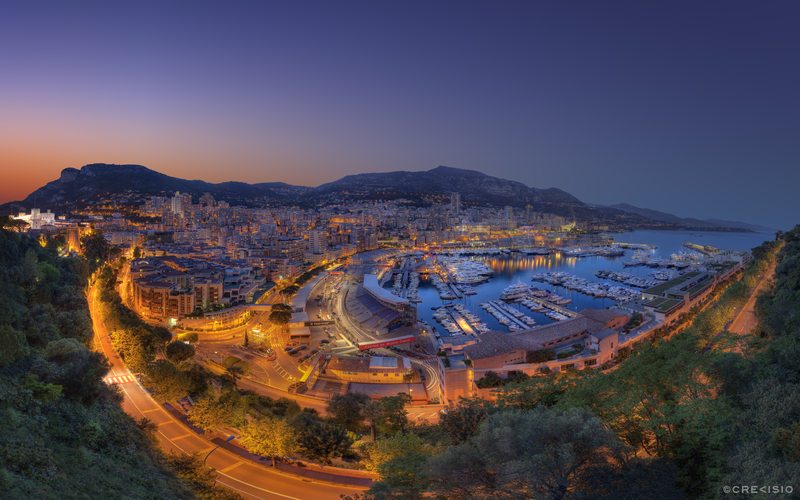 Just a few days before the exclusive F1 Grand Prix 2013 of Monte-Carlo, the city is preparing for the mega event of the year. Tribunes, protective race track barriers and fences are set up. The full image size available is a staggering 450 megapixel TIFF file, with 26,834 x 16,771 pixels at 300 dpi.